Metallica has been toiling away on their deluxe reissue campaign, and the latest release will take the form of a new box set for 1988’s popular “…And Justice for All.” The metal men have shared a video on their Twitter account of the upcoming set being fashioned together on an assembly line. The video is followed by the hashtag #comingsoon. Previously, Metallica as released deluxe reissue versions of 1983’s “Kill ‘Em All,” 1984’s “Ride the Lightning” and 1986’s “Master of Puppets,” so it makes sense that “…And Justice for All” would come next. If the “…And Justice for All” box set is anything like the other Metallica collections, it will feature a bevy of bonuses, as the other sets featured demos, live tracks, rough mixes, interviews and some fun memorabilia, as well as remastered editions of the albums. 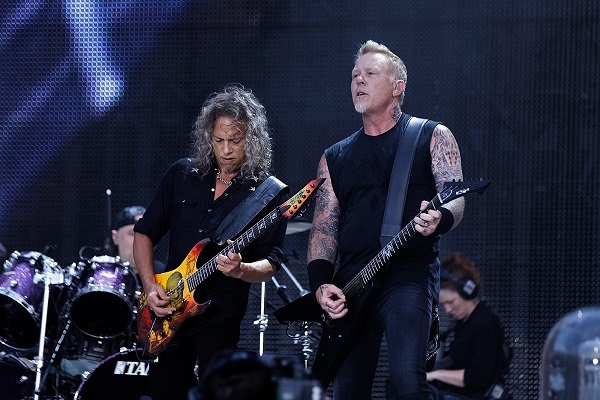 In other news, James Hetfield and the guys of Metallica set off on a U.S. tour behind their latest studio album, 2016’s “Hardwired…to Self-Destruct,” starting last night (Sept. 2) in Madison, Wisconsin. The tour will keep the band on the road through March of 2019, closing out March 13 at the Van Andel Arena in Grand Rapids, Michigan. Find tour dates here.